Welcome to the Micro Wave Computer Institute’s dedicated portal i.e. Web Development Institute (WDI). It is a sincere effort to improve the quality of training in the field of Web Development from the team of Micro Wave Computer Institute, city Khanna (Punjab) India. 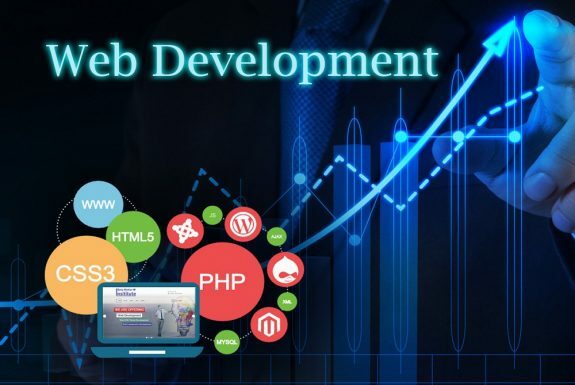 The leading and independent web development education institute offers allied range of diploma and certificate courses in Web Development with 100% placement assistance. Our institute offers intense courses in web development i.e. PHP, CMS (Content Management System)Wordpress, Framwork, code-igniter etc. All the courses in web development offered by our institute are cumulatively designed and recognized internationally by renowned corporate houses and multi-national companies from the web development the globe. According to recent business statistics when it comes to hiring web development professionals, companies are becoming incredibly choosy. Majority of Web Development MNC’s are looking for employees with specific skill sets. Web development courses at our institute i.e. Micro Wave Computer empower students with tremendous job potential along with outstanding marketing skills and web development related theoretical knowledge which allows their businesses to outshine from others. We at Micro Wave Compute providing PHP training in Khanna.Today PHP a server scripting language is heavily in demand as obvious reason is that it is open source which means free and competent alternative to challengers such as Microsoft’s ASP and that’s why it is widely in use . PHP is a powerful tool for making dynamic and interactive web pages speedily. Now it is installed on more than 244 million websites and 2.1 million web servers, from here we can get an idea about the demand of the language. Micro Wave Computer is the best PHP training institute in Khanna delivers high end training in Core and Advance PHP education, 6 Months PHP classes in Chandigarh. Trainers are experienced people from the industry they work on live projects on our own development company as well. After the training students will be completely skilled in PHP and thus will get easily Place in the companies. For Assistance and Experience on Live project join Micro Wave Computer and we enhance students skill level to a certain amount which help them seeking suitable job. We also prepare them for Interview and work on polishing their overall personality. In advance PHP we will cover open source publishing platform and CMS platform (Content Management System) which are powered by PHP, these are Web Application framework and data driven websites.Students will cover the in-depth knowledge and expertise to work on CMS, frame works and will be able to create custom themes and web applications quickly. Micro Wave Computer is the Best Training Institute in Khanna. Micro Wave Computer provides website development and training under content management system to create dynamic websites to develop different types of Websites like social networking, eCommerce(shopping sites),blogs and according to requirement of clients. A content management system (CMS) is a computer application that allows publishing, editing , organizing, deleting as well as maintenance from a central interface. Such systems of content management provide procedure to manage workflow in a collaborative environment. Moreover content management system is software that keeps track of every piece of content on your website; much like your local public library keeps record of books and stores them. Content can be text, photos, music, video, documents, or just about anything you can think of. A big advantage of using a CMS is that it requires almost no technical skill or knowledge to manage. Since the CMS manages all our content, you don’t have to. Joomla CMS is an award-winning content management system (CMS) which enable you to build your Websites and powerful online applications. Many aspects, including its ease-of-use and extensible and made Joomla the most popular Website software available. Best of all, Joomla is an open source solution that is easily available to everyone. WordPress CMS is totally free and open source blogging tool and a content management system (CMS) based on PHP and MySQL include plugin architecture and a template system. WordPress was used more than 23.2% of the top ten million websites as of August 2013.WordPress is the most popular blogging system is use on the Web  at more than sixty million websites. A WordPress user does not need to learn PHP in order to use, manage a WordPress website. Most users can use WordPress without ever learning to program or code in PHP. However, if a user want to develop WordPress themes, plugins of WordPress by using action and filters then they need to learn the basic syntax of PHP along with HTML and CSS. Dolphin CMS – Smart Community Builder. It is the famous web community script written in PHP and MySQL. Dolphin has a lot of features: Innovative Builders for site customization, Classifieds and Events , Tags, Flash Promo and much more. Dolphin is the world’s most advanced software. Open-source, independent, scale able, customization, full-featured, free software for building social networks and web-communities. Loaded with video-chat, recorder, video player, forums, groups, events, mailbox, desktop app, video sharing, photo sharing, iPhone app and many more. Build your own business or improve your hobby with Dolphin. PHP Dolphin is the best way to create your own social network and online community in just five minutes without any special knowledge. Magento content management system is flexible eCommerce solutions that help you get the most from your online channel. Compare to find the right for your company. Magento Enterprise Edition is the high performance, scale able eCommerce solution for fast-growing and in large businesses websites.It is got the enterprise-class features and the flexibility you need to create an eCommerce solution altered to your unique needs. And to help you drive more traffic to your store, convert browsers into buyers & boost online revenue. Micro wave computer’s WordPress course is for everybody who wants to study web technologies for the point of developing business on the internet. In adding to the fundamentals, you will obtain a very careful overview of WordPress functionality. WordPress is the mainly trendy and latest blogging stage in the world Business. WordPress is used as a CMS in approximately all small and big company as it is easy utilize. If you want to get best training in wordpress in Khanna you can join us at Micro Wave Computer. Industrial Training in Wordpress Course in khanna is a modular 6 weeks course, regularized over 5 days a week, 2 hrs a day, and exclusively includes practical sessions.